By Sarah Wooley. 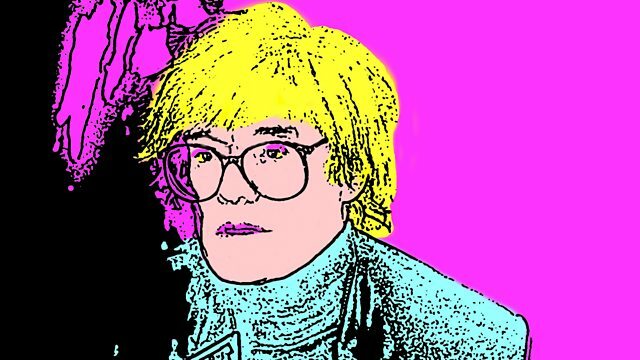 Drama about the last days of Pop Art and how Andy Warhol, with a little help from Truman Capote, invented celebrity culture. With Tobias Menzies. Set in New York in the heady days of Studio 54, in the late 1970s and early 80s, "Fifteen Minutes" looks at the later period in Andy Warhol's life when he was painting portraits to commission and running 'Interview' magazine. Young editor, Bob Colacello has the bright idea of hiring the ageing Truman Capote to do celebrity interviews. In exchange for his monthly column, Capote would be gifted a portrait. And so began one of the most complicated and explosive of collaborations. BBC Music celebrates Pop Art season with music inspired by the movement.